European Athletics coverage will remain on free-to-air public service channels for the next decade. Coinciding with the end of this year's inaugural European Championships, the EBU and European Athletics announced the long-term renewal of their worldwide media rights contract. This extension takes the partnership, which began in 1981, through to the end of 2027. The EBU acts on behalf of its member broadcasters, consisting of free-to-air public service broadcasters including the BBC in the UK and RTÉ in the Republic of Ireland. The agreement includes the Paris 2020 European Athletics Championships, and the subsequent flagship championships of European Athletics in 2022, 2024 and 2026. The 2022 and 2026 European Athletics Championships will be part of the multi-sport European Championships. Other events included in the agreement are the European Athletics Indoor Championships, including the 2021 edition in Torun, Poland, the biennial European Athletics Team Championships (Super League and 1st League), the annual European Cross Country Championships, as well as the European Athletics U23, U20 and U18 Championships (U18 Championships in Rieti, Italy, in 2020). 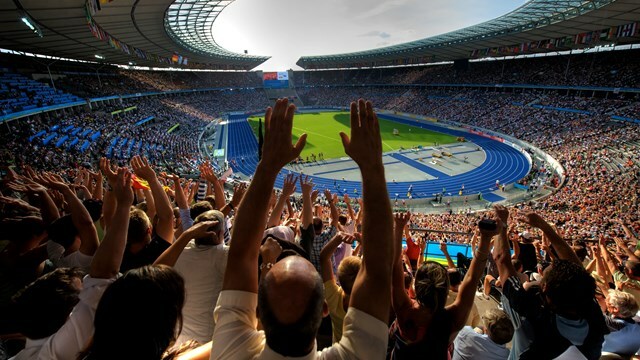 European Athletics and EBU renewed their commitment during the closing weekend of the European Athletics Championships in Berlin – part of the multi-sport European Championships, with the German capital and Glasgow co-hosting the inaugural event. The European Championships groups multiple individual European Championships that would normally be hosted separately into one Olympic-style multi-sport event, with the goal of promoting smaller sports as well as allowing broadcasters to pool resources and provide concentrated wall-to-wall coverage on free-to-air channels.